Early this month, even as the Indian Parliament was preparing to pass the Fugitive Economic Offenders Bill, there was a dramatic change in Vijay Mallya’s approach to the Kingfisher loan default case. The liquor king finally seemed to say goodbye to his defiant self in the battle with banks and Indian investigators and appeared more cooperative. Of course, the reason for this change wasn’t hard to understand, Mallya knows that his options are now limited with the new legislation coming to effect, which will ostracise an offender from any civil rights to make his case legally and gives the power to local authorities to attach his assets and initiate proceedings. Mallya has high chances of being declared as an economic offender. 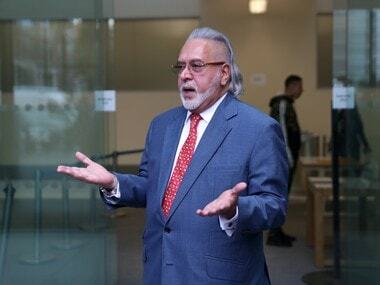 On Tuesday, just before a UK court extended his bail and set the next hearing on 12 September, Mallya once again made clear his willingness to settle with banks. “I have made a comprehensive settlement with the Karnataka court. There are over Rs 14,000 crore assets placed before the court. I have requested the court to sell these assets under judicial supervision. Pay all the banks, creditors so that everyone is happy,” Mallya said. Mallya owes an estimated Rs 13,000 crore to different banks, if one takes into account the accrued interest on the principal loan amount. 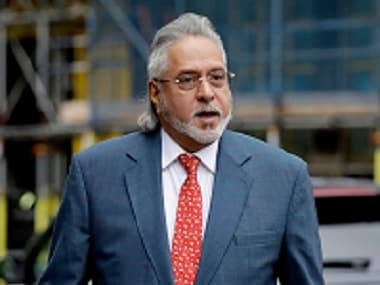 In June, a special Prevention of Money Laundering Act (PMLA) court in Mumbai had summoned Mallya to appear before it on 27 August, on the Enforcement Directorate's (ED) plea seeking action against him under the fugitive economic offender's ordinance in an over Rs 9,000 crore bank fraud case. It was the first time that action was initiated under the ordinance promulgated by the Narendra Modi government. If Mallya does not appear before the court, he risks being declared a fugitive economic offender, and properties linked to him will be confiscated. Mallya left India in March 2016 just before a clutch of banks moved the Supreme Court to seek his detention after close to Rs 9,000 crore loans were given to erstwhile Kingfisher Airlines (which was grounded on 20 October 2012). Since then, Mallya has been fighting a bitter legal battle with Indian authorities and investigative agencies after his passport was revoked and multiple courts in India issued summons to Mallya. If Mallya indeed returns now, it will be a big political victory for the Narendra Modi government ahead of crucial state elections and 2019 general elections. Modi can claim this as a victory for the government in the war against large loan defaulters. Mallya has so far defended his position saying an Indian-government sponsored witch-hunt is targeting him and continued to play the victim-card from the UK, but a recent court ruling in the UK permitting Indian banks to attach his assets there came as a blow to the fugitive liquor baron. From being a poster boy of the Indian civil aviation sector to the poster boy of bad loans, Mallya’s rise and fall is a good case study of all that is wrong with the Indian banking sector today. The Vijay Mallya case is a classic example where banks acted carelessly in the credit assessment process and, certainly, too late in sensing the loan default and initiate the recovery process. Mallya was far ahead of the lenders in the whole episode including his meticulous timing to leave the country just before the banks moved the Supreme Court seeking his detention. With Mallya now showing his willingness to settle all his dues, banks shouldn’t miss the opportunity for a second time. This is the right time for banks to push with all their might for the asset sales (what Mallya has offered to pledge) and collect the dues; the recoveries will help the state-run lenders, stuck in the case for at least six years, to recover at least part of their money. Mallya’s return from the UK and his prosecution in Indian courts still isn’t a near possibility, but banks now certainly have a chance to get their money back. 1Kingfisher loan case: Is embattled liquor baron Vijay Mallya finally saying goodbye to his defiant self?